Gardeners and Tree Surgery Greater Manchester M1 | Quality Property Care Ltd.
Quality Property Care Ltd. is open for your needs 365 days per year - which includes in saturdays and sundays and bank holidays. Get in touch with the type and courteous garden maintenance customer assistance representatives right away to have more info. Utilize this phone number 0161 823 0325 in a most convenient for you time! We'll be ready for your call and request! *Minimum we charge is £49 for a team of 2 gardeners for the 1st hour. £36 for every subsequent hour. Quality Property Care Ltd. has been presenting gardening and tree surgery in Greater Manchester M1 for more than 10 years now. 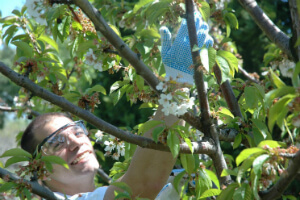 The professional gardeners in Greater Manchester M1 offer garden waste clearance, lawn mowing and care, tree surgery performed by certified tree surgeons, elimination and trimming, patio cleaning and jet washing, hedge trimming and pruning and landscaping design for personalized and business outdoor places and gardens. 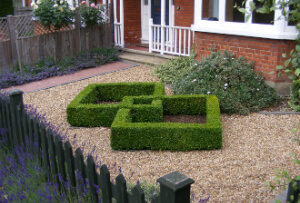 The company has established itself as a leader in garden design and maintenance in Greater Manchester M1, and has a growing number of regular and completely new clients in the area. All customers receive free professional treatments and advice in the improvements and proper servicing of the gardens, as well as about enhancing the health of the plant life, trees, turf and plants in it. To have an excellent lawn one must take care of not just the soil, but also the grass itself. Frequent maintenance and trimming helps the turf to spread, develop much better root systems allowing them to survive longer, nourish better and just be better looking. To obtain a lavish lawn we use several approaches which enable us to inject the ground with nutrients that feed the grass. Ordinary trimmings are also in order, not just to preserve it short, but to also make the grass spread more, as plant life generally do when not allowed to expand in height. We have fall months lawn care, springtime lawn care, summer season lawn care, lawn scarification, lawn aeration, lawn top dressing, and lawn feeding. All those services can be utilized if our gardeners see that it is needed. Have a neat and fresh garden managed by talented gardeners in Greater Manchester M1 right now! The garden clearance services delivered by an expert gardening company in Greater Manchester M1 consist of taking care of overgrown lawns, removing weeds, grass cuttings and hedge clippings, straw vegetation, twigs and small branches. The idea is to make it possible for a adequate growth of healthier plants and flowers in the garden, doing it stunning and pleasant for investing more outside time or simply for passing by it. The gardeners Greater Manchester M1 will remove all garden leftovers. Up to 180l of green waste can be taken out for free. The gardeners are going to use the most appropriate, powerful and secure weed killer for every type of weed, and will also deliver 100 % weed removal. More concerning lawn services provided by Quality Property Care Ltd..
Book Quality Property Care Ltd. Gardeners Call for Special Prices! Pick up your phone and dial 0161 823 0325 where our crew of devoted customer care representatives will take care of every thing from reservations to informing you on our service. Get in touch with us any time, you could call us at any moment.